Read more about hands-on learning at the Early Childhood Center. Serving children from 15 mon. - 4 years old. Discover grades Kinder Bridge - 5th at Redeemer Lutheran School. Explore electives, earn high school credit and take fascinating field trips in grades 6-8. What next? Learn about our affiliate high school program. We believe that God’s Word is the basis of all theological knowledge. This tenet of our faith is the fundamental truth of sola Scriptura or Scripture Alone. We want the children in our school to embrace the truths that are found in the Bible. We believe the focus of the entire Bible is Jesus Christ, true God and true man, who lived on earth with real people, living in an actual time in history. Intellect and Intelligence are different but equally important. While intellect is the God given gift that allows for children to learn information, intelligence is the embodiment of what they have learned. 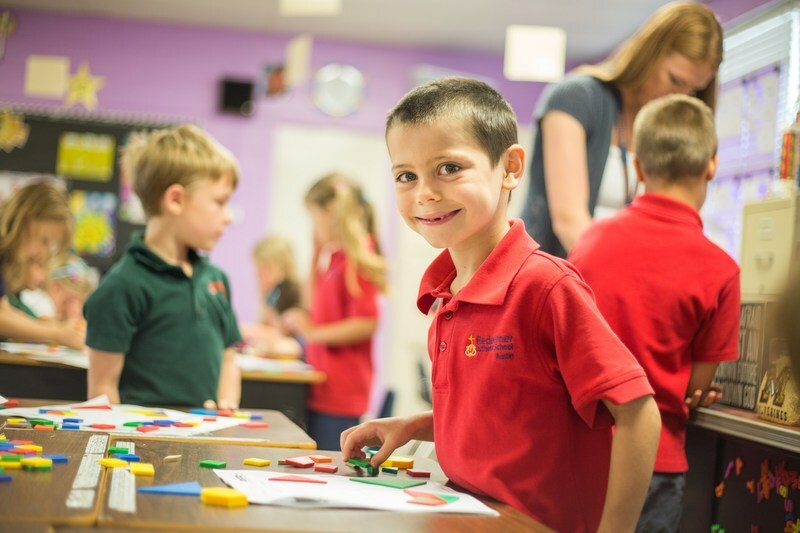 Redeemer Lutheran School provides an accelerated curriculum within an enriched environment for hands-on learning as well as real-world application. Our techniques for learning allow for each child's learning style to be touched. We signed up for kinder and joined a family. We recently asked several parents what they felt was unique about the Redeemer Kindergarten program. Mrs. Mohler said: "If I were to associate a catch phrase with the why, it would be this: We signed up for kinder and joined a family."